Thank you for the exemplary service that you provided for our recent translations. This was the first time that we had used your company and we will be sure to use you again in the near future. 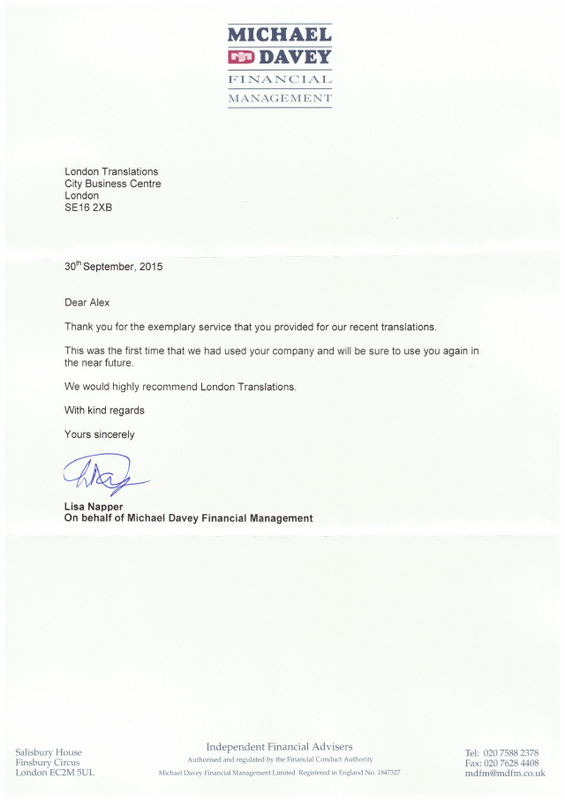 We would highly recommend London Translations.